The synthesis of my undergraduate work, Philly’s Urban Diary is a project based on the ideas of urban thinker Chuck Wolfe that captures the many facets of dwelling in the built-environment including: the urban experience, what it means to live in a city, what makes a city successful, notions of sustainability, modes of sensing the immediate local environment, and finally how we create meaning to ultimately shift space into place. The project is two-fold. Stories of urban experiences suggest how people naturally tend to utilize urban spaces, which in turn better informs long-term, sustainable city planning. Additionally, by visualizing individual stories and putting them in conversation with one another, the urban diary has the potential to promote social cohesion within communities and provide a platform for collectively creating a shared, inclusive narrative of the city that transcends neighborhood divides. The River Wards research project is part of a larger research collective organized by Dr. Ali Kenner, Assistant Professor in the Department of History and Politics at Drexel University. 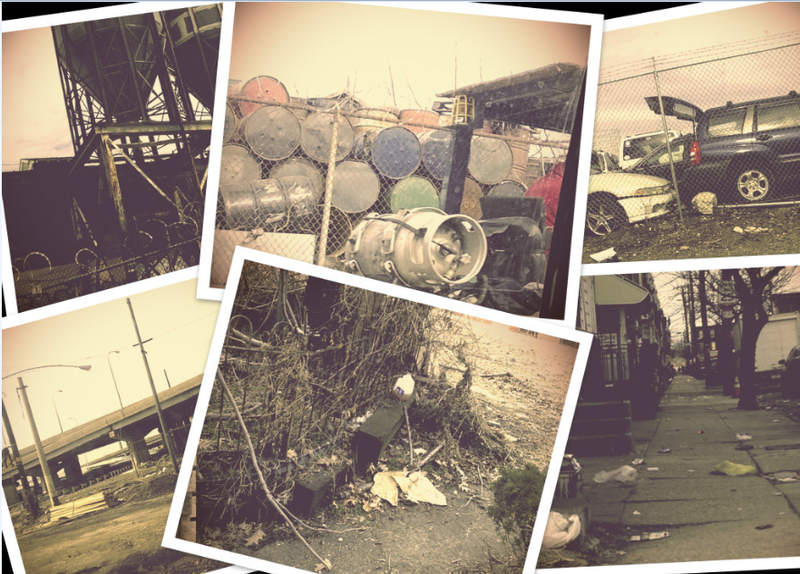 This project examines community perceptions of environmental health risk in the River Wards neighborhoods in the Northeast portion of Philadelphia. Initially my role in the project was to compile exhaustive background information to create a profile of the neighborhoods and help bring inn relevant literatures/theoretical frameworks. The project has recently concluded the data collection phase with a survey team canvassing the neighborhoods. My involvement in the project shifted to a leadership and organizational role overseeing the logistics of the field work. My duties included daily field assignments, coding physical blocks in the neighborhood, creating maps, tracking results, and personally conducting surveys in the field. For a sample of ethonographic field experience, please see my field summary of the overall project. This project is a social science exploration of how digital infrastructure contributes to civic engagement and shapes perceptions of environment and sustainability. Specifically, our research uses the Philly 311 mobile app as a case study. The work has been suspended for the time being, with attention shifted to the larger River Wards Project. 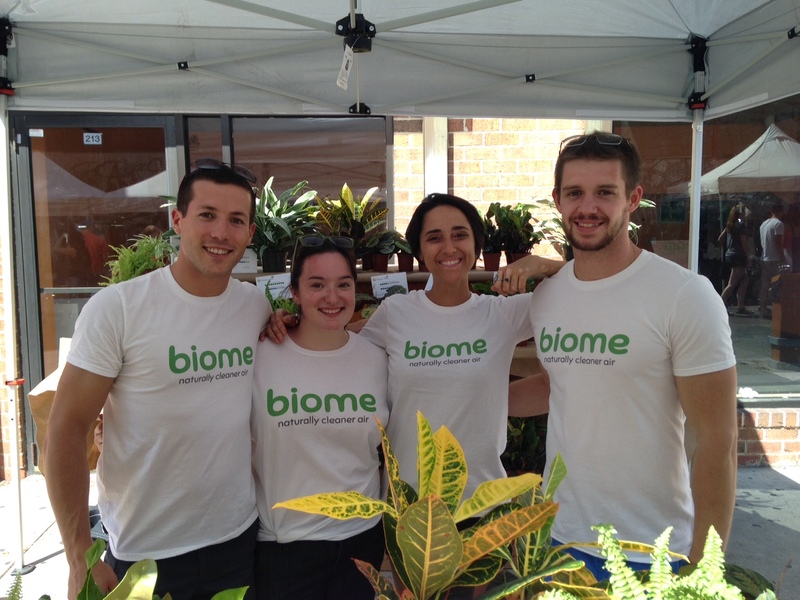 Biome is a start-up company housed in the Baiada accelerator at Drexel University, founded by Collin Cavote. The company looks to put out a consumer product that adds beauty to the home by bringing nature indoors while simultaneously improving indoor air quality. My role is to help build the brand of Biome, communicate the values and vision of the company, characterize various relevant networks, structure social media outreach and web content, and oversee marketing and general communications research. Uprooted installation by Katie Holten, featured as part of the Sensing Change exhibit. 2013. Sensing Change was a museum exhibit coupled with related programming centered on larger environmental shifts and sensing of the local urban environment. Created and housed at the Chemical Heritage Foundation in Old City, Sensing Change arose as an effort made across departments for a holistic suite of offerings. My time on the project include assisting project communications and promotion. Harriet Levin-Millan has written a number of poetry books and won multiple awards for her writing. Our work included my own personal writing of a poetry chapbook as well as creative edits on her first creative non-fiction publication, Yalla!, in addition to a book of poetry. As an ending to our work, we collaboratively performed a reading of our poetry at the Moonstone Poetry Series Mentor and Mentored.